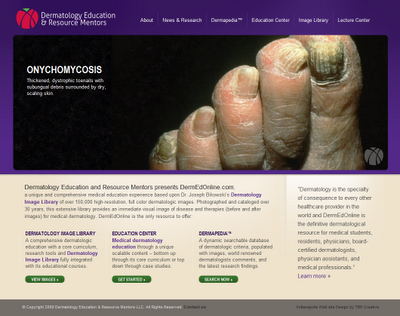 TBH Creative was hired to build an introductory web site for Dermatology Education and Resource Mentors. The goal was to prepare a simple web site that would explain the organization ideas and plans for functionality. Some of the planned components include an Image Library, Online education courses, and interactive "wiki"-like Dermapedia. We worked closely with the founders to design a web site that communicated the business plans and would allow for growth in the future. The audience will be primarily Dermatology students, physicians and educators. The web site was designed to show off the high quality visual images collected by Dr. Joseph Bikowski over many years treating patients. Beware as you visit the site because some of the photos are quite graphic! 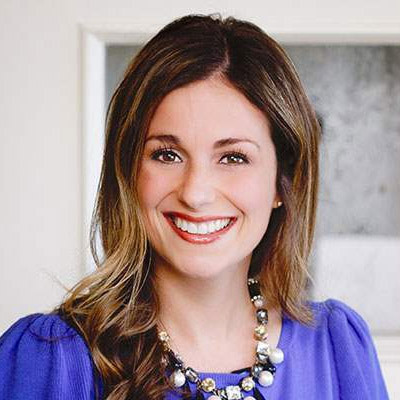 About Dermatology Education and Resource Mentors A company formed to improve educational resources in the field of dermatology. DermEdOnline.com is its first initiative and provides full visual and written explanation of dermatological disease in consort with an in-depth presentation of all therapeutic modalities. TBH Creative helps organization and businesses that are small, medium and large with different scope of web design needs. Based on your requirements and goals, we will recommend a solution to create an effective online web site. Remember, your web site is your 24/7 advertising tool!